Fans, friends, and enemies of the Internet! Thank you for checking out the ALL NEW Episode 1 of Peeridium Podcast! If you like what you see, be sure to like, share and subscribe. If you don’t like what you see, constructive criticism is welcome! On this episode, we run through some of the announcements from Sony’s Paris Games Week 2017 event, sound off on Disney’s greedy stipulations for theaters screening Star Wars Episode VIII, and justifiably rant about Loot Boxes and their negative effect on the gaming industry. 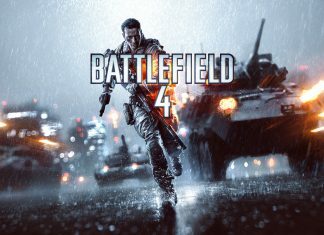 Dynamic destructible environments, epic vehicular combat and the chaos of all-out war, Battlefield 4 gives you the freedom to do more and be more while playing to your strengths and carving your own path to victory.